Views from every window! 3+ Acre lot! Entire main level offers wood flooring. Large eat-in kitchen with upgraded cabinetry, granite counters tops, all kitchen appliances stay with the home. Formal living room & separate dining room, family room with wood burning fireplace. Upper level has large open loft with 3 large bedrooms; 5 piece master bath, large soaking tub, very large master bedroom with sitting area. 2 additional bedrooms are very large as well. Full bathroom upper level. Room measurements provided but not guaranteed. 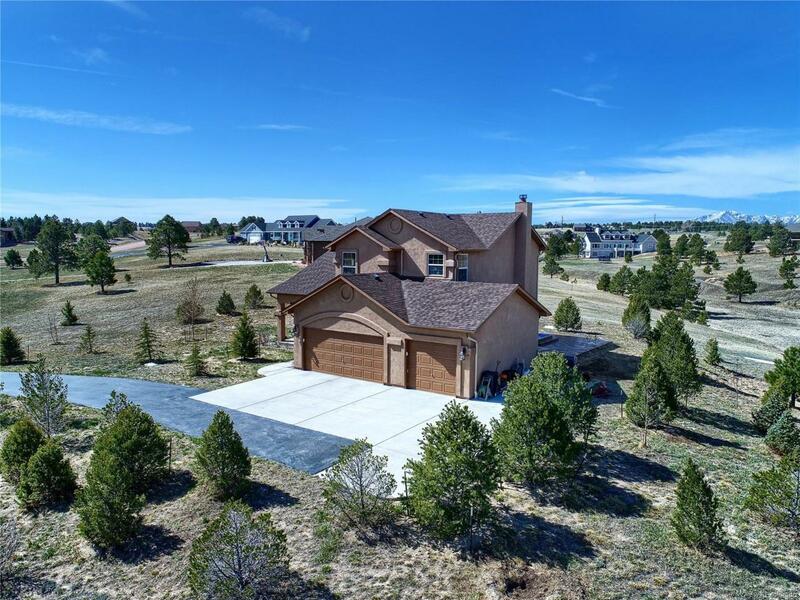 Don't let your Clients miss out on this fantastic home!Trails through the community and community is fenced. Driveway faces south!